Designed and manufactured in New Zealand, Hungry Bin is a fast and convenient way to compost your food scraps. 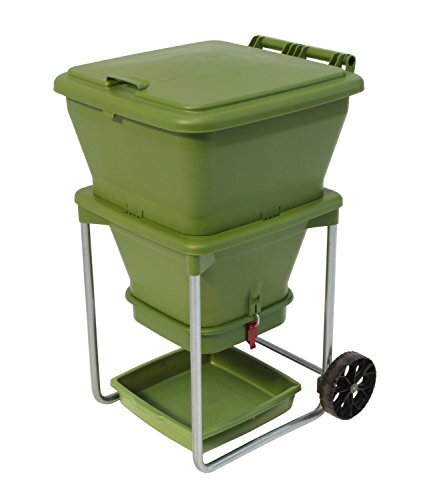 Highly efficient, allowing worms to process up to 4 Lbs (2 Kgs) of waste per day. 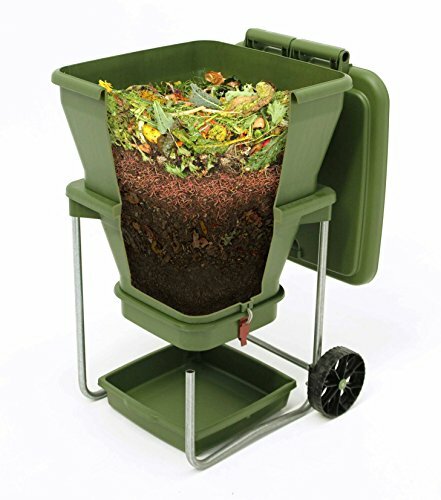 Designed and manufactured in New Zealand, Hungry Bin is a fast and convenient way to compost your food scraps. 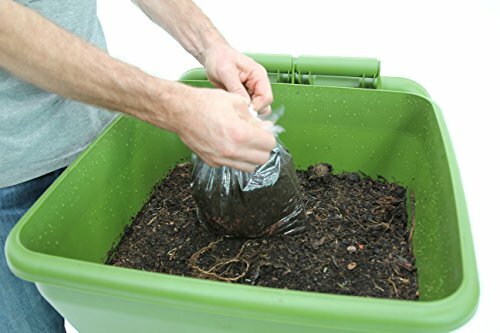 The innovative, patented design creates an ideal living environment for compost worms and is highly efficient, allowing them to process up to 4 lbs. (2 kgs) of waste per day. This organic waste is quickly converted into castings and a nutrient-rich liquid, both of which are high-quality natural fertilizers and incredibly simple to collect. The Hungry Bin is designed with a solid handle and sturdy wheels, allowing it to be moved easily. Hungry Bin is not just clean, simple and easy to use – it looks great too. Hungry Bin is best suited to a temperate climate. In locations that experience temperature extremes, the Hungry Bin will need to be positioned in a location that is not subject to excessive heat, or freezing conditions for long periods of time, such as inside a garage or basement. Hungry Bin is not supplied with the worms or bedding required to start the bin. California Customers: The price of this item (Hungry Bin) includes sales tax reimbursement computed to the nearest cent. The statewide sales and use tax rate of 7.0 percent has been included in the sales price. The customer is responsible for any district tax beyond this amount. The worms quickly convert organic waste into castings and a nutrient-rich liquid, which are both high-quality natural fertilizers. 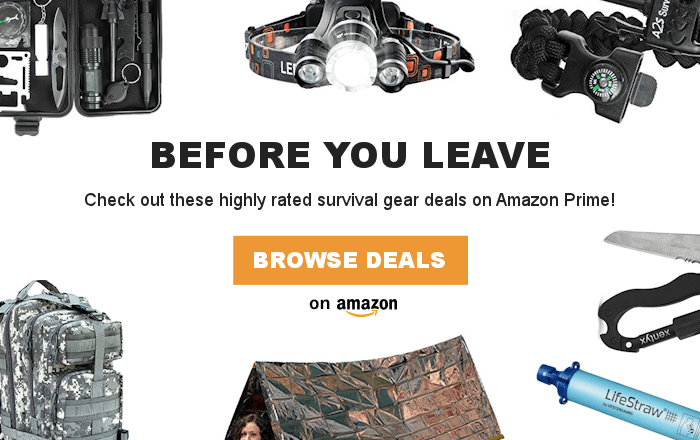 Compost/Bedding and Worms are not included, each sold separately.